This blog is now located at http://blogspot.casaflores.co.uk/. Cala d'Or and the the locality benefits from a recently opened Health Centre; the centre was opened by the Minister for Health (Vicenc Thomas) together with the local Mayor (Miquel Vidal) earlier this year. The new centre cost almost 1,300,000 euros and replaces the older facility in Cala D'or, it will provide improved working conditions for medical staff and more comfort for patients. The new facilities have been designed to cope with the greatly increased workload during summer months when Cala D’or accommodates many with tourists. How to get the ideal holiday that is: "exactly what you want" . . . . .
Package deals booked through your high street travel agent is certainly convenient, but unless you are fortunate and get a clearance bargain, they will be more expensive than doing it yourself. Booking a package deal through an online agent may reduce the costs because you are not paying for their high street premises, but generally it will still be more expensive than doing it yourself. Also, planning & researching your own holiday itinary & accommodation is good fun and more rewarding, to say nothing of getting exactly what you want, rather than getting what an average holiday maker wants. low as £9.99 per person !!!! If planning to book for larger groups you have a better chance of getting larger & linked accommodation the earlier you start. Often peak dates during July & August dates start being booked up in September & October the previous year. Find some privately owned accommodation, find out if the owner takes their holidays there themselves as there is a better chance it is well maintained and a 'home from home'. Don't forget to check mid-week flights. Midweek flights are often cheaper than weekends, also consider taking holidays of 8, 9 or 10 nights, many private owners are happy to take bookings for odd periods allowing you to pick the cheapest flights. Mix airlines for outbound & return flights. It's also worth considering flying out with one airline and return with a different airline, frequently airlines have different pricing systems so select the cheapest combination of flights. Ask if the owner will hold the dates for 24 hours so you can confirm your flights. - - - then start counting off the days to your holiday. As soon as your accommodation & flights are booked - start planning your transport. Sometimes in peak summer hire cars can be hard to obtain, so don't leave it too long, if you plan to use a taxi pre-book it to get better rates than using the airport taxi rank - also a good idea if you want child seats. 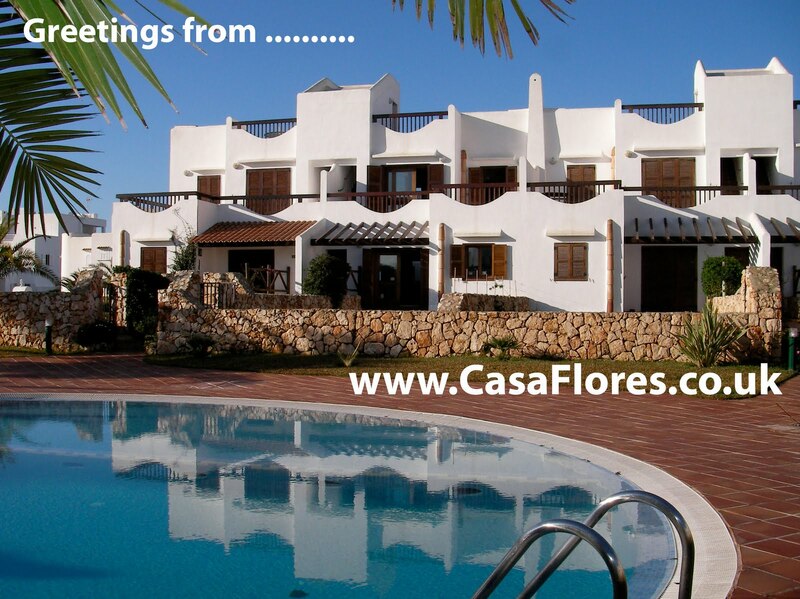 Some holiday apartment owners have special arrangements with car hire & taxi firms, also some may be able to arrange transfers by private car or minibus at very competitive rates. Sarah & Andy at Casa Flores use their own houses through the year so ensure they are managed & manitained to the highest standard; they have young children so know how to prepare 'child friendly' accommodation, toys & books are provided in a toy basket to help guest children settle in, cots & high chairs are also available. Casa Flores accommodation overlooks the swimming pools so older children can be watched over without having to sit at the poolside. Also the nearest pools have the shallow childrens section nearest the house & apartments so you are never too far from your accommodation while with your younger children. Andy & Sarah started planning their own private holidays and have toured the Far East starting in Bejing China & travelled through Vietnam, Loas, Thailand & Hong Kong travelling by plain, train, cars, buses, taxis, boats & foot: so first hand they know how much more special a private planned holiday can be - moreover they know how easily achieved a personal & perfect holiday can be while being much more affordable than a package.